The BHSc program reflects Carleton’s strengths in such fields as science, global and international studies, journalism and evidence-based practices and policy, and architecture and the built environment. This emphasis on interdisciplinarity will provide you with the breadth of knowledge and experience that medical schools and employers look for. Carleton’s location in the nation’s capital has enabled the university to forge partnerships in the area of health with both the public and private sectors. There are numerous organizations, agencies, research institutes and hospitals in the region that together provide a knowledge base unique to Ottawa. The BHSc program offers an interdisciplinary foundation in health science that can prepare you for postgraduate education in biomedical research and professional fields like medicine, dentistry or veterinary medicine, as well as for careers in health-related fields like public health, global and environmental health law and policy, and health services and community healthcare. More information on the concentrations can be found below. All concentrations in the BHSc program provide a hands-on approach that includes laboratories, workshops and seminars, beginning in first year. 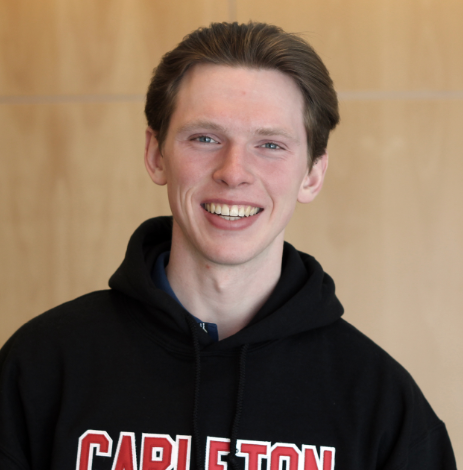 Students can take advantage of programs offered at Carleton that include summer research internships, the co-curricular volunteer program and international alternative break opportunities. The fourth year of the program provides a capstone experience with various options and hands-on experiences to choose from (pending satisfaction of academic requirements) that can advance your personal and professional goals. For those who would like to fuse two areas of study, it is possible to take a double concentration. For example, Biomedical Sciences can be combined with Global Health, if you wish to address new and emerging diseases. Likewise, you might wish to combine the concentrations in Health Throughout the Lifespan and in Disability and Chronic Illness to focus on issues relating to healthy aging. Taking a double concentration can add value to your degree for when you enter the job market or when you apply to professional or postgraduate programs. There is great demand for highly-skilled workers in the health sector in Canada. The concentrations in the BHSc program are designed to prepare you for a diverse array of health careers but also provide excellent preparation for medical school and other professional training. Many professional programs, such as teaching, medicine and journalism, are interested in attracting well-rounded applicants from a variety of backgrounds. The Bachelor of Health Sciences provides a strong foundation for such programs. What I like most about Carleton Health Sciences is the unique learning culture within the interdisciplinary program. I have learned a lot about the extensive fields of health and biomedicine through my labs and lectures. Beyond my labs and lectures, I have come to appreciate just how approachable and helpful the Health Sciences faculty and staff are. A highlight for me has been working in one of the new Health Sciences research labs through research opportunities.